A most simple trading system that I have ever applied along my trading journey which i love this t3 snake system for scalping or swing. Trading system that is suitable for traders slacker like me …. xixixi … including you, because I normally use this system in the time frame for four hours (H4). This system relies on crossing “T3-clean” and “snake” (a type of moving averages with different basic calculation) with each period is 13 (maybe just luck number) Where this indicator if both types of cross then at that point in getting trading signal. To facilitate and ensure you do not miss this important moment then add an indicator uni-cross that will display in case of crossing Arrow Up and Arrow Down to the top if there is crossing down. Buy Condition: 1. Appears Arrow Up 2. Wait until the candle closed 3. Entry Buy in the next candle. 4. Close Metatrader, you can resume other activities that you like. Check every 4 hours once, just observe the price movement …. no touch your trade … profit or floating loss … let alone provided it does not appear Arrow Down. At the time of profit, do lock profits or trailing profit at whatever level you like …. at the end, let your profits run … 5. If it appears Arrow Down and valid until the candle is closed. Close Buy your position on the next candle opening. Sell ​​Condition: 1. Appears Arrow Down 2. Wait until the candle closed 3. Entry Sell on the next candle. 4. Close Metatrader, you can resume other activities that you like. Check every 4 hours once, just observe the price movement …. no touch your trade … profit or floating loss … let alone provided it does not appear Arrow Up. At the time of profit, do lock profits or trailing profit at whatever level you like …. at the end, let your profits run … 5. If it appears Arrow Up and valid until the candle is closed. Close Sell your position on the next candle opening. Trust in the system … there may be times when your trading experience loss, as long as you follow the system, then the risk and reward are still very good. there is always an easy road … so keep it simple …. 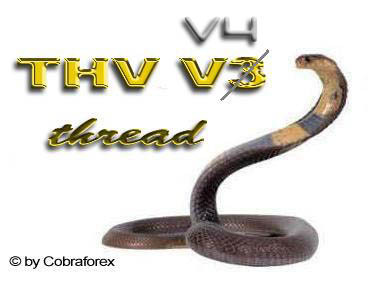 Another System using same strategy from this popular t3 snake trading system is t3 snake v3 and v4. 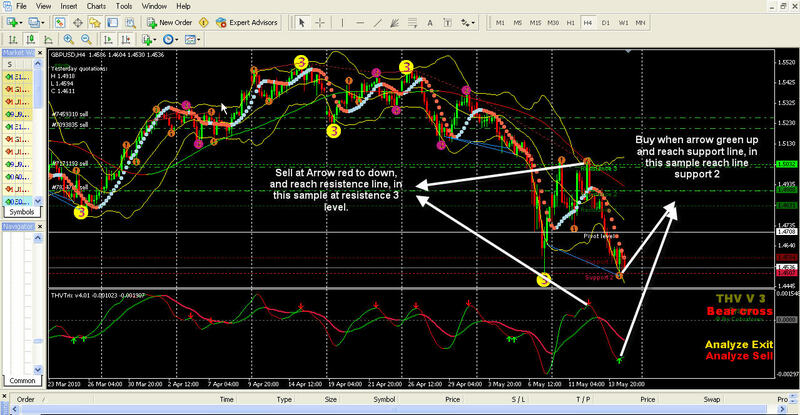 As we know Scalping is the most difficult art to work on FOREX due to the high activity in short time. You need to draw trend lines, fibs and ranges in very short time, sometimes seconds, not to mention to execute your orders. This method needs a lot of market sentiment (about 80% is feeling) and I recommend to trade only one pair at the time, every pair has different characters. Scalp on a demo or small micro account first before going to do some serious on it !!! Take in mind: As less indicators and that stuff you have, as better your overall view. You will see price actions faster on a clean chart. 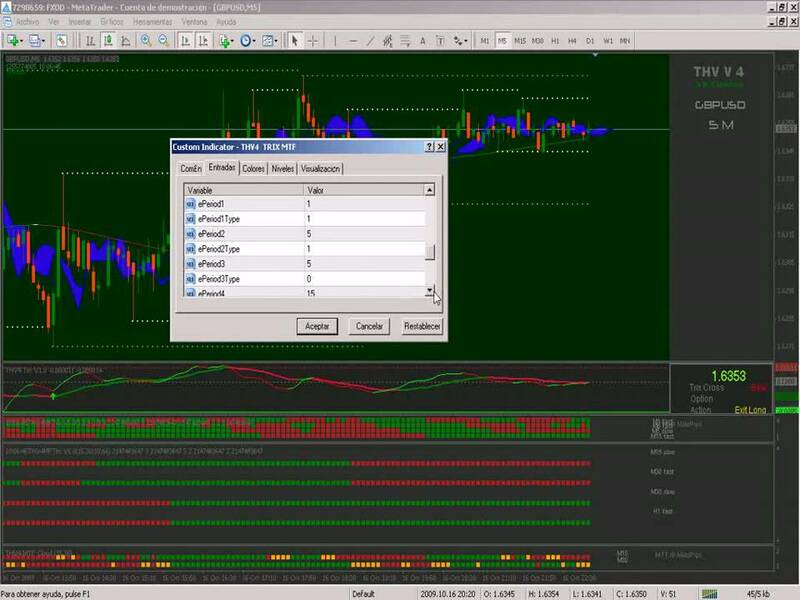 There are thousands of other tools in the Internet and in the MT4 platform, look for what makes you surer in your trades. It is very easy to make money in Forex (foreign exchange) but we like to complicate them as much as we can. For example: When I just started, a good friend of mine that works for an US brokers, told me: Buy when the price goes up and sell when it goes down. You see it’s easy but there is a very important point to be successful: THE MONEY MANAGEMENT. We need to know how to risk our trades, that is the second more important point in all the forex business, after knowing when to take a trade. T3 Snake V4 Rules : Entry: Above Coral only long, below Coral only short Price crosses cloud – both Trix cross each other and have the same color. Best and most secure trend confirmation is a cross of the fast Trix on the zero level. Exit:Faster Trix changes color and/or touch of a known good resistance/support level. Other reasons to take profit can be: Touch of a trend line, resistance or support line, horizontal psych level (00 – 20 – 50 – -80) or a black cat that cross your screen Stop Loss: please set your stop loss according to your money management plan, as higher your Time Frame that you trade as lower you set the pip value and as higher the Stop Loss, also it depends on the currency pair that you are trading. I use this THV trading system mainly for scalp trades but many traders use it in higher time frames. The THV team proved it only on 1M and 5M. The 1M TF is only for extreme scalping and needs good forex skills and good internet connection of course and we can use this thv trading strategy on 15 minutes time frame to moderate scalping traders. I’ve attached all version of the_best_t3-snake trading system we hope we can help others to make more accurate trading analysis in forex market.